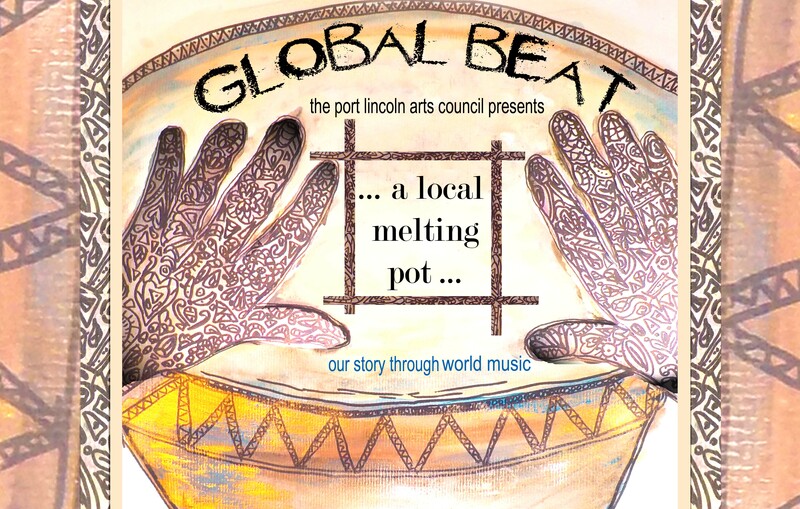 Global Beat – a Local Melting Pot is an afternoon of music by local performers showcasing the region’s rich cultural diversity including sounds from the original land custodians to the wave of immigrants from across the globe. From traditional European folk ballads to rich drumming solos inspired by the fishing islands of the Caribbean – our local musicians are a melting pot of the sounds of cultures from across the globe. The Port Lincoln Arts Council is showcasing these artists and the vibrancy of our community in this afternoon of musical notes floating across the sea at the home of the city’s fishing and recreation fleet, the Marina. Performers include Joel Davies, Paul Backman, Johana Page, Eli Iannucci, ChaZappa, 2 Little Birds, Cellar Folk, Japanese drumming and Filipino dancing as well as an Indigenous welcome to country.